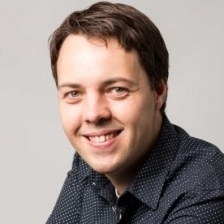 Pieter Bons is a data scientist at ORTEC. His passion for understanding how things work first led him to a PhD in experimental physics. During his PhD he studied the fundamental properties of ultra-cold atoms. The belief that data science can reach beyond lasers in a vacuum chamber brought him to ORTEC, a company leveraging optimization technology and data science to create business value. Pieter has been the driving force behind several AI projects involving Natural Language Processing and Smart Search Engines, including an award-winning Recommender system. He currently supports KLM in kick-starting new analytics projects to help them become more data-driven.